We offer a wide range of short courses and programs to meet your professional development needs. Our courses are accredited with various colleges and associations to assist you in meeting your CPD requirements. Our courses are developed and delivered by world renowned experts within the Monash University network. Read more about our upcoming courses below and register your interest to stay up to date. Click here for our short course terms and conditions. This course will introduce participants to the theoretical and practical aspects of learning and teaching using freely available digital technologies. Participants will learn human cognitive processing capacity applied to multimedia, and contemporary frameworks to develop effective educational programs incorporating digital technologies. Monash University in collaboration with the Harvard Macy Institute will deliver a five-day short course, right on your doorstep in Melbourne. 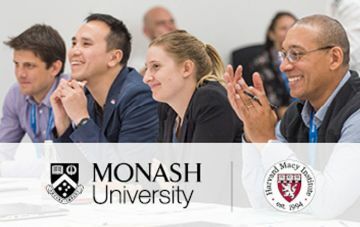 In this unique program on Leadership, Innovation and Sustainability in Health, thought leaders from Monash University, the Harvard Macy Institute, and Internationally, will share their expertise to provide you with innovative ways to tackle global healthcare challenges. Simulation-based education often provides learners with an opportunity to develop clinical knowledge and skills in context. Simulation modalities include task trainers, manikins, screen-based simulators and humans (simulated participants). In this unit, students will examine how this type of communication – framed as learning conversations – can contribute to learning and teaching processes. Genomics or the use of an individual’s entire genetic code is currently transforming medicine. Genomics powered precision medicine is well underway and also a focus of the Australian federal government, with the announcement of the Genomics Health Futures Mission ($500M over 10 years). This course is designed for anyone undertaking qualitative research in health professions education and training. We cover each phase of the research process from identifying the issue to be investigated, writing research questions, selecting study design, data collection, analysis, reporting and dissemination. This practical, 2-day course covers the basics of health economics (health technology assessment) and common methods used for undertaking economic evaluations: decision analysis, Markov modelling, life table analysis and Monte Carlo simulation for uncertainty and sensitivity analyses. The NHET-Sim Programme is designed for individuals from all professions across Australia who currently or intend to use healthcare simulation as an educational method with students or health professionals. There is a growing gap between known best practice wound management and current wound care. Many practitioners are required to care for people who have wounds as part of their clinical role. As new evidence is rapidly emerging about this area of professional practice it is essential that education be made available to those whose practice includes wound management. 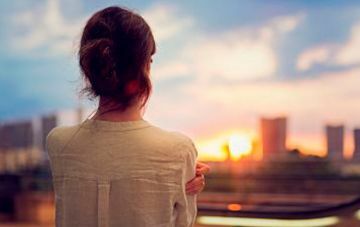 The Online Short Course in Women’s Mental Health aims to upskill clinicians to work sensitively and effectively with women of all ages experiencing mental ill-health, and to integrate an understanding of factors such as the role of trauma and endocrinology in the development of mental illness, as well as implications for treatments. Programs specifically tailored and designed by the MIHCE for specific participants. Authorised by: Chief Marketing Officer, Strategic Marketing and Communications. Maintained by: Monash Institute for Health and Clinical Education Webmaster Team. Last updated: Apr 2019.